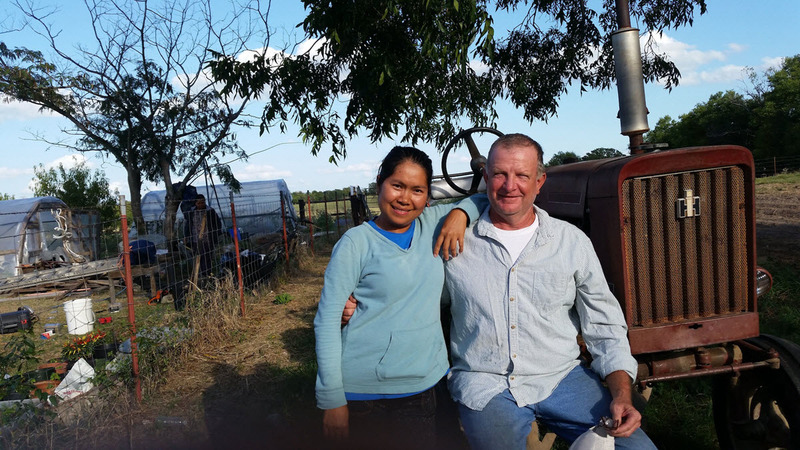 The Fisher family has been farming and raising cattle in Van Zandt County, Texas for over 150 years. Like many farming families, they switched over from cotton to vegetable farming in the 1930's. 1940's. Our grandfather, Jim Fisher, was among the first farmers to sell produce wholesale at The Dallas Farmer's Market, which was started in 1939. Since that time, a Fisher has almost always had either a retail or wholesale presence at that location. Now in 2018, it is us paving the way for the next generation, growing a more diversified crop selection, and while not farming as many acres as in the past, creating a more value added product, growing such staple crops as tomatoes, onions, watermelons, cantaloupes, green beans, sweet corn, new potatoes, summer squash, winter squash, sweet potatoes, broccoli, cauliflower, brussel sprouts, lettuces, carrots, turnips, beets and more. We are proud to offer this and more to our farmers' market and CSA customers. We utilize sustainable agricultural practices such as shallow tilling, crop rotation, cover crops and more to ensure the land will continue to provide for our family and customers for years to come.